Happy Friday my beautiful readers! Thank you for taking the time to come over to here - A Yellow Brick Blog.... I feel like I don't say thank you enough! And don't forget A Yellow Brick Vlog is up and running fully now - 5 videos up and having so much fun doing it! Anyway that's enough thanking and plugging for one post - it is my Product Of The Week time once again - how on earth are we at #21 already, these weeks to seem to float by month after month after month, we are in July - the wrong side of the year! Sorry you beauty lovers but this week I have a non-product product! As you can probably tell by the title of this post - it is a book/movie - duh! 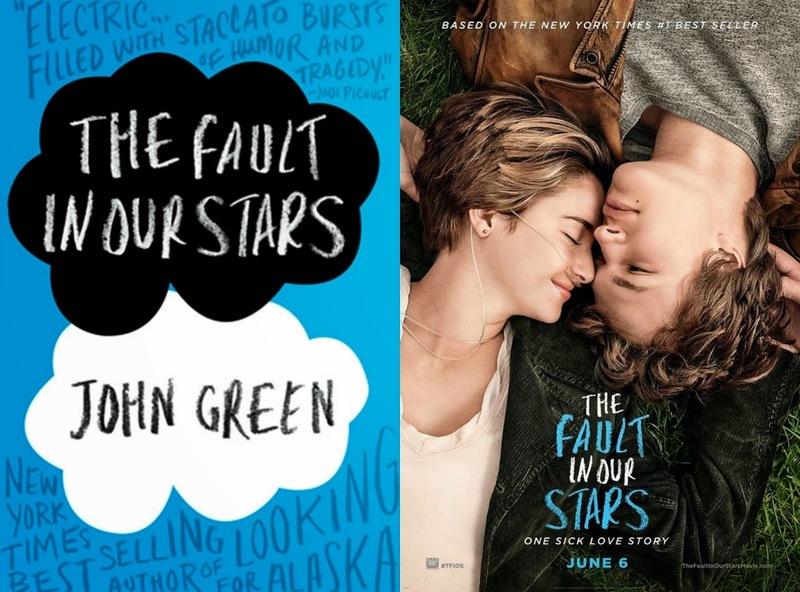 Yes it is the ever popular and totally emotional damaging The Fault In Our Stars. I've had this on my kindle for god knows how many months and with the film coming out I just had to knuckle down and read it before I saw it. In the end it took me less than 48 hours to read it - when I want too I can read alot and fast! It was brilliant, laugh out loud funny and hysterically-crying sad all at the same time - and then 2 days later I went and saw the movie. A fantastic construction of John Green's amazing words and ideas, it broke my heart all over again! There were a couple of scenes which I think would have been really powerful acted out but unfortunately they seemed to have missed the cut which was a shame! I urge you all to go and read the book/see the movie - I think the 2 friends I took to the cinema with me STILL have puffy eyes from all the emotions!